paint the rainbows ★彡: Moar Colors by Llarowe Beauties! 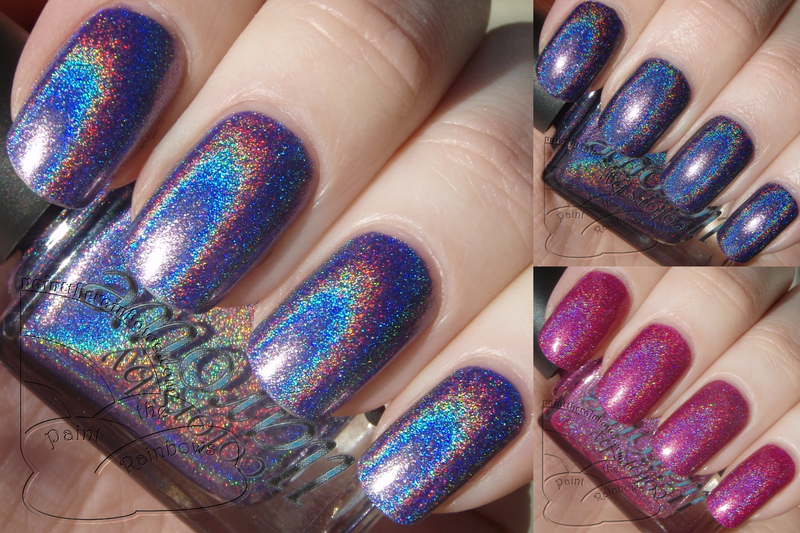 Today I have some more lovely Colors by Llarowe holos to share with you! Like I said before (or I should have said, anyway - definitely was thinking it!) CbL has become one of my favorite brands as of late, and they are definitely worth writing about. On to the pretties! As with my last round-up of gorgeous CbLs, I will save time by mentioning here that everything you see here is three coats with Seche Vite on top. 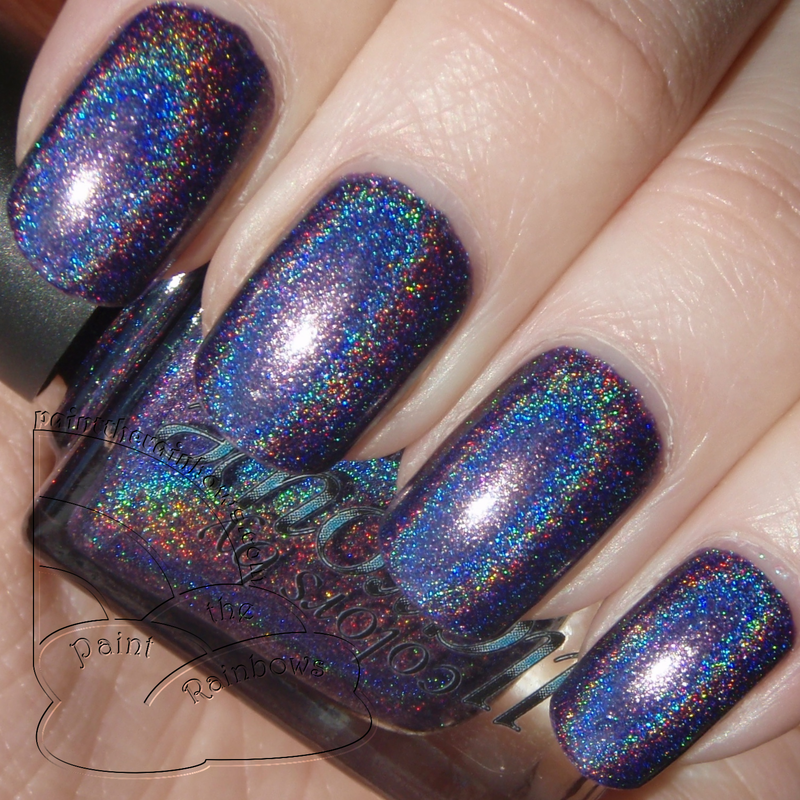 Feelings, Whoa Whoa Whoa is a slightly dusty dark purple holo. So beautiful, I love this one! Super holo, too! Application was no problem here, of course - I typically find CbLs a touch thick but easy to apply. Paper Moon is another purple holo, but much lighter and more lavender-y. This one is insanely holo, as I'm sure you can tell from my picture! I am a sucker for purples so I initially thought I didn't need this one just because I do have other light purples, but this one is definitely unique, both in color shade and crazy level of holo - in short, you definitely need this one if you like purple at all. It's magical. Lastly, I have the lovely Shy-Ann, which is a deep pink holo with micro-sparkle added in for extra special twinkle. Since it does seem to have some glitter in the mix it dries a little bumpy so topcoat is something you will want to use here, but it is definitely worth the effort - super gorgeous! I love this one. These are all really pretty. Great way to start off the New Year with these pretties!! Glad to help! They are definitely different from each other, definitely both worth having for purple lovers :) Thanks for reading!